Benjamin Rivers is back once again with a game I’ve been looking forward to since it was announced. This is partly because his previous game Home that came out a couple years ago on PS4, Vita, and PC is one I really enjoyed despite the fact that it was kinda short. 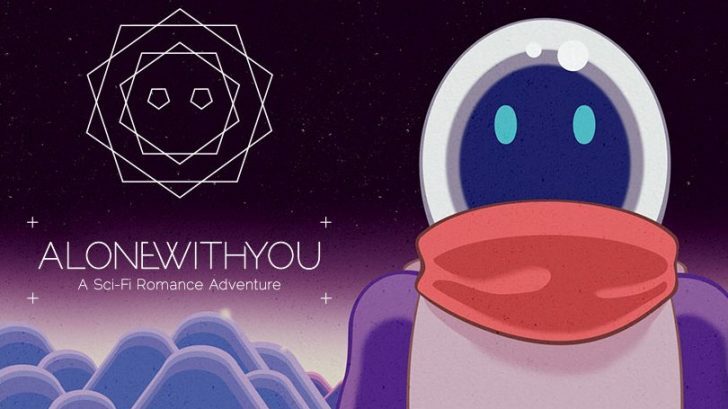 Now his new game Alone With You takes a different approach and instead of being a creepy, mystery game it is a romantic/dating sim, mystery game. You start the game taking the role of a astronaut that could be either a male or a female. The game intentionally let’s you decide what gender you are and that is because of the nature of the game. Now the game is a very solitary game for the most part as the only living being is yourself. 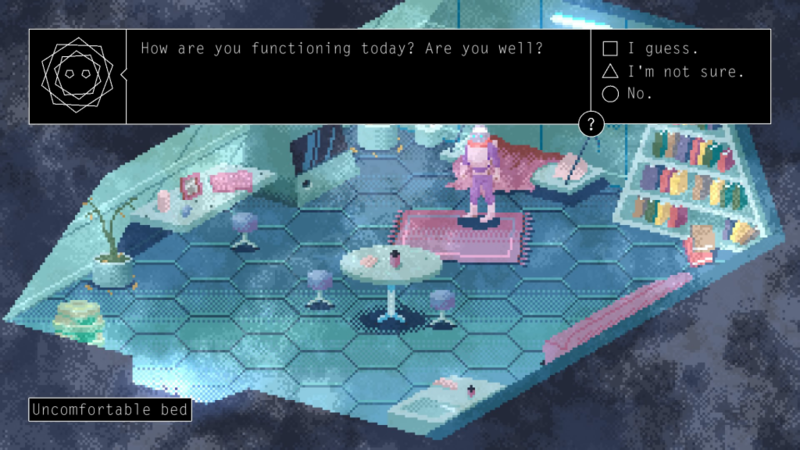 You do have a AI companion whose goal is to keep you alive and well. 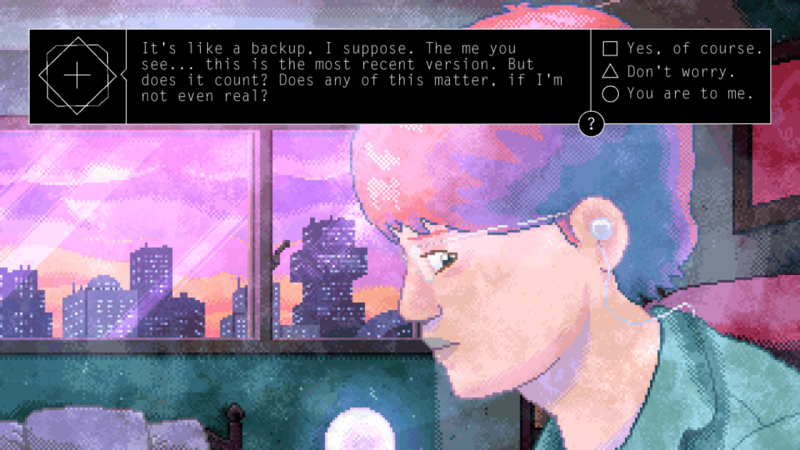 Alone With You is a point-and-click adventure game like many of the classic games from back in the 80’s and 90’s. With the help of the AI you’ll be exploring this destroyed space colony and trying to discover what happened and how to escape. You’ll do this by finding different parts to fix up your escape pod. In order to do this though you’ll need the help of some friends. But wait I said you were alone on this planet right? Correct so these friends are former members of this colony that your AI decides to reanimate in a holo chamber. You’ll need their expertise to achieve your goal so you’ll have to build relationships with each of them. This is where the dating simulation stuff comes into play. You’ll have conversations with each of them and discover pieces of their past while doing so. The game has days and each day you’ll talk to a different person. Then every five days that passes you’ll get to choose which of the colonists to interact with which further builds your relationship with that person. 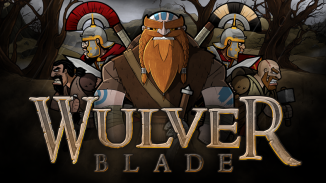 This game is one you may want to replay so you can make different decisions and see the different outcomes the game has. The story in Alone With You is one of the best parts about it as I was left really thinking about some of the choices I had to make. I’m looking forward to going back and making different choices next time around. The game has puzzles you’ll have to figure out as well but none of them are very hard to figure out. 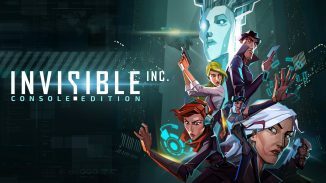 For me I liked this as I hate some of the adventure games of the past that left you stumped so long but for others who like that challenge they may be disappointed. The game does get a bit repetitive however as each day that passes you end up going through some of the same areas over and over again. It didn’t bother me too much but it did start to get a little annoying. 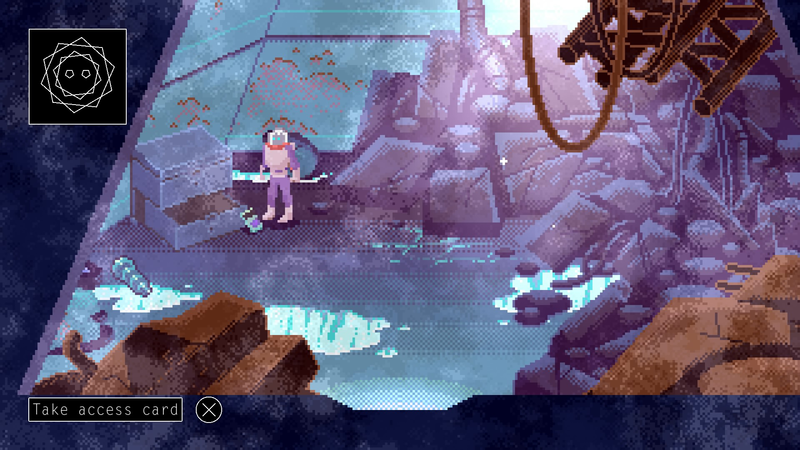 Benjamin Rivers once again went with an old school pixelated aesthetic as he wanted the game to give that feel of a Sega CD game and I can say he nailed it for sure. The music in the game is well done as well with creepy music and more upbeat stuff as well. All of it is well placed and usually fit what was currently going on in the game. 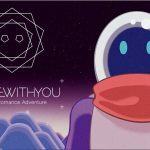 Alone With You is Cross-Buy on PS4 and Vita but I was only able to play the PS4 version for this review. It doesn’t have Cross-Save but each version does have its own trophy list so if you like trophies there are two Platinum’s here you can earn. It’s a good reason to play it on both as you can always make different choices on the other version. 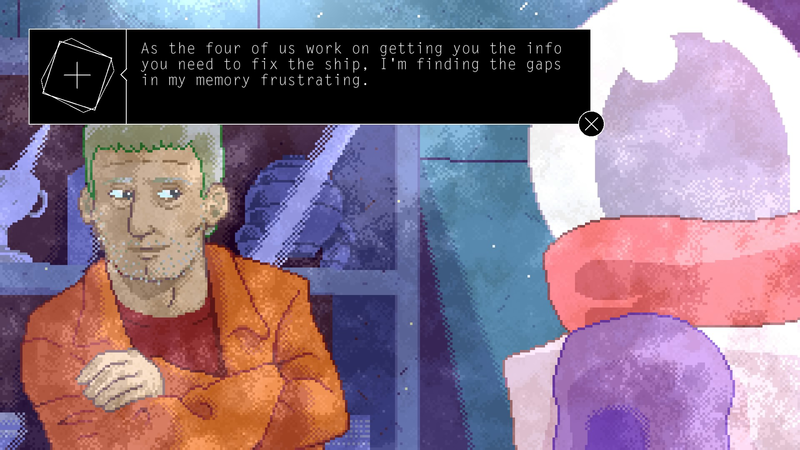 While the game is a lot of pointing and clicking the tale that Alone With You tells is absolutely worth experiencing. It was an emotional tale for me and one that left me really pondering some of my choices. I’m looking forward to heading back to the colony to see how making some different choices may alter the outcome. 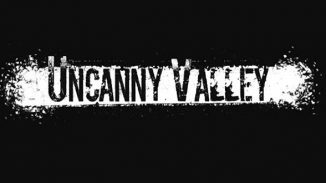 Fans of anything sci-fi and strong narrative driven games shouldn’t miss this one.